Chia seeds contain the highest plant source of Omega 3 fatty acids and can be found at your local health foods store. Packed with approximately 6 grams of fiber this dish is very satisfying. I eat this for breakfast but it can also be served as a dessert. 1. 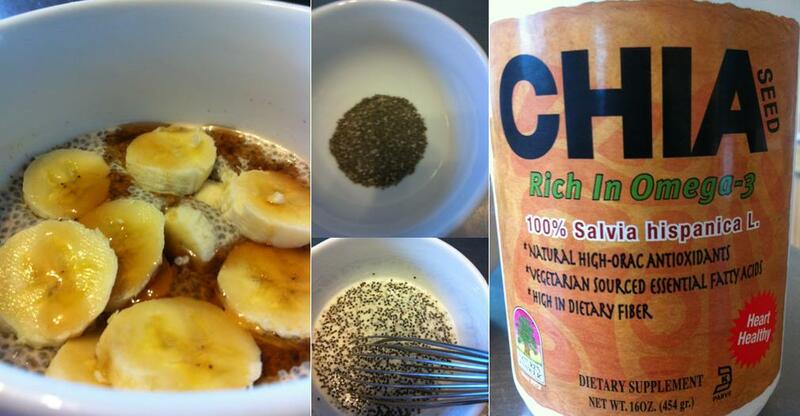 Place chia seeds in a bowl and add almond milk and cinnamon. Whisk together to combine. Place in the refrigerator for a minimum of 10 minutes. Stir again. Refrigerate for an additional 5 minutes until chia seeds soften and expand. You may do this step in advance and refrigerate overnight. 2. Remove pudding from the refrigerator and stir. Add fresh sliced banana and drizzle with agave nectar. Serve immediately.